How to Archive for iOS simulator? Usually you won't archive iOS app for simulator use, unless... your client suddenly tell you that his iPhone is broken and undergoing repair, but hey he has a Mac that can run Xcode and also iOS simulator and he still want to test your app! Of course you wouldn't want to send the full source code over before client paid you in full. So how do you send him the build to test without sending the source code over? Fortunately, there's a way to send the compiled build so your client can run the compiled build without him having to build from the source code. 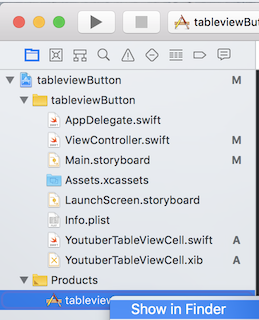 honeyeeb mentioned a faster way that we can use the compiled app in the 'Products' folder, send this to colleague/client and ask them to drag and drop it into iOS Simulator. After building the app, go to the left side navigator bar, select Products > appName.app, right click it and select 'Show in Finder'. Finder will show the .app file and you can send the file to your colleague / client. Open terminal, and run instruments -s devices , you will see a list of simulator device and their UDID inside square brackets. I will be using iPhone SE (iOS 11.2) as the selected simulator device for this tutorial, the corresponding UDID for it is "18BF1A2D-15C2-40E2-80A6-0CB87D2B56D4". In Finder, press Command + Shift + G, and enter the path. 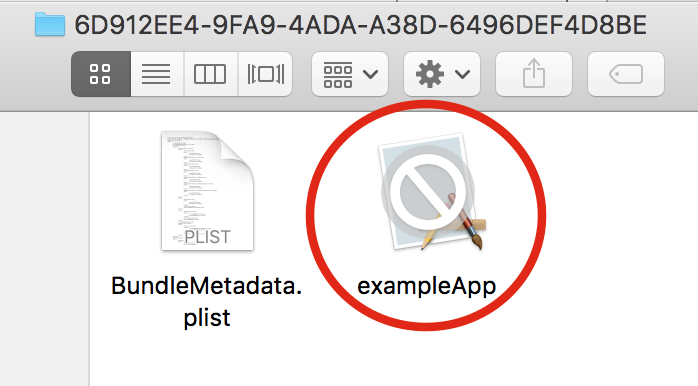 Before building your app, I recommend deleting all other existing app you have built previously on the simulator so that you can find your app data folder easier in the next step. Proceed to build your app as usual in Xcode, my app name is "exampleApp" for this tutorial. In your simulator folder, locate to data/Containers/Bundle/Application , here you will see the folder for the apps you have built in the simulator. 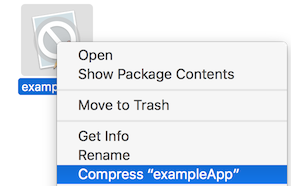 Compress the app and send the zip file to your client. For easier instruction, ask your client to unzip the compressed file at Desktop folder. Open Xcode, then start iOS Simulator by choosing Xcode > Open Developer Tool > Simulator. In Simulator, select the device you want. The app should install on the simulator successfully, rejoice!